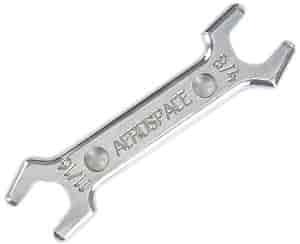 Aerospace Components These unique Aerospace Components aluminum wrenches are designed to fit AN union and hose end fittings. These wrenches not only reduce the chance of damaging AN fittings during assembly but also discourage over-tightening fittings that are assembled and in use. Wrenches are available individually or as set. Made in the U.S.A.